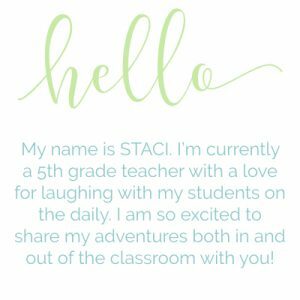 Last year, my teaching partner and I set out to make our students truly feel like authors. It was our first year working together and after looking at the standards, we decided we wanted to focus on the types of writing. We wanted our students to make clear distinctions between informational and narrative writing–specifically about the same topic! Being new to the city, I thought a lot about having my students help me get acquainted with the area by giving me suggestions. Instead, we decided to broaden the scope of the audience. I mean, their suggestions could help more than just me and would give them an authentic purpose and audience! My teaching partner and I made some initial decisions about our book: general content and format and beyond that let our students call the shots! 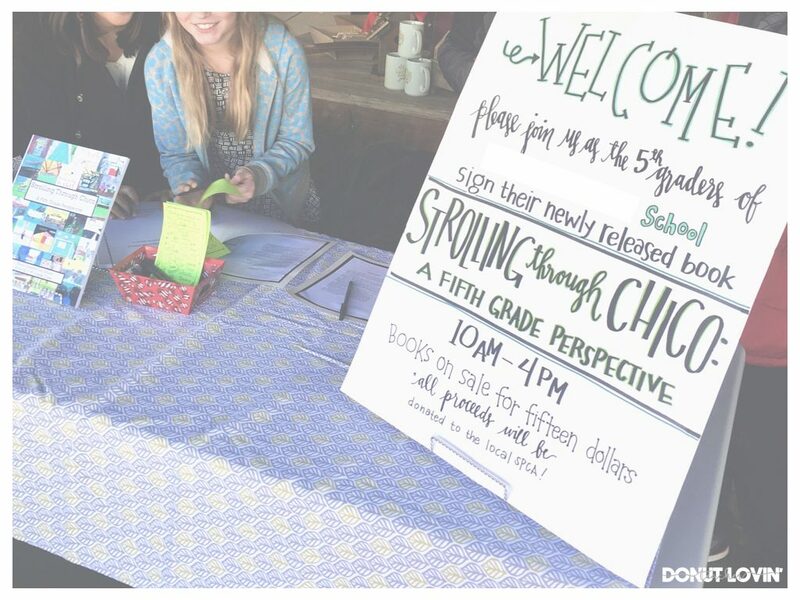 Here are some pictures from our official Book Signing at a local shop where students had a chance to talk about their work, the process, and sign the book! Besides making an actual book, the Book Signing event really elevated the way students thought about themselves! 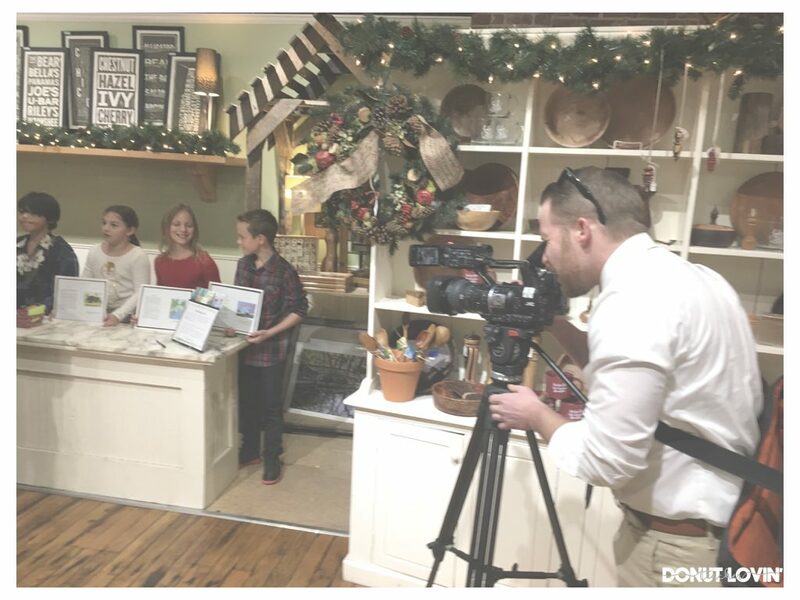 We publicized the event by having students invite shop owners they wrote about and reached out to a writer from a local paper and the local news station to let them know about this new book written by our fifth graders! Being that it was in December, a lot of people were out and about holiday shopping and picked up a copy! 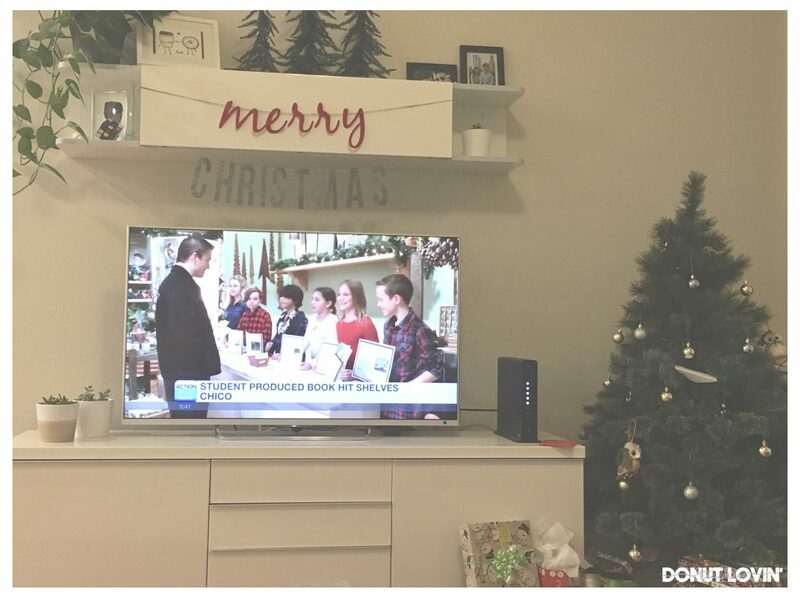 It was a wild day and thankfully we had great subs and parents helping rotate and drive students to and from school, but my favorite was sitting home that evening and seeing my students beaming with pride on the news about the fact that they were now published authors! Below, I’ve outlined the general steps we took to transform the way students thought about writing: from assignments as students hoping to get it done to meaningful work as authors hoping to help others in the community. We spent time making a list of important places in our city. From there, we thought about important memories and selected that one special spot. We taught lessons about the different types of writing and looked at mentor texts to guide our own writing. Peer critique helped improve student writing. Using CreateSpace, an On-Demand Publishing Company, our high-quality books were printed, bound, and shipped to us within several days. 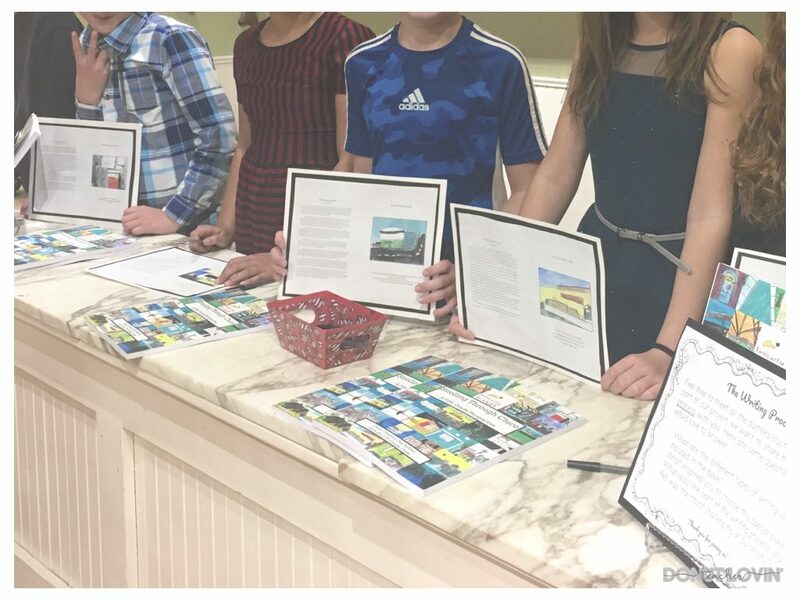 We partnered with a local shop to sell our books, host a book signing, and reached out to the press about the new book by our fifth grade authors! My students generally go through the writing process: brainstorm, draft, revise, edit, and publish. Typically, publishing can mean that students type up their work, make a cover page, or creatively display it around the classroom. 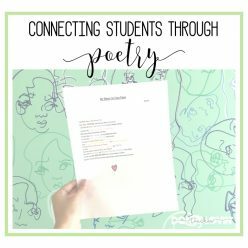 On occasion, it meant a copied compilation of student work (usually poetry) that they shared among their peers and possibly even family members. What if we gave our students an opportunity to share their work and voices with others beyond our classroom or even school community? This was the most valuable part for my students: people they didn’t even know wanted to buy their book. We sold over 250 copies of the book in just a couple months and every now and then I receive e-mails from people who saw it at a local coffee shop and want to purchase their own copy! Here’s some background on publishing our books with CreateSpace. Our original intention was to sell them on Amazon for our books to be accessible to anyone, for as long as Amazon exists. Though this is a convenient way for families and the community to purchase our book, it nearly tripled the cost of the book. We value our work, but we did not have the intention of making money for our class (maybe we can integrate math in this project another year). For this reason, we chose to purchase copies of our book and sell them both at school and at a local shop that so graciously hosted us. How much did each book cost? The cost of each book was approximately $10-12. Depending on the number of pages, number of copies, and shipping options, the cost can change. We sold our books for $15 to ensure we made all our money back. How many pages was the book? 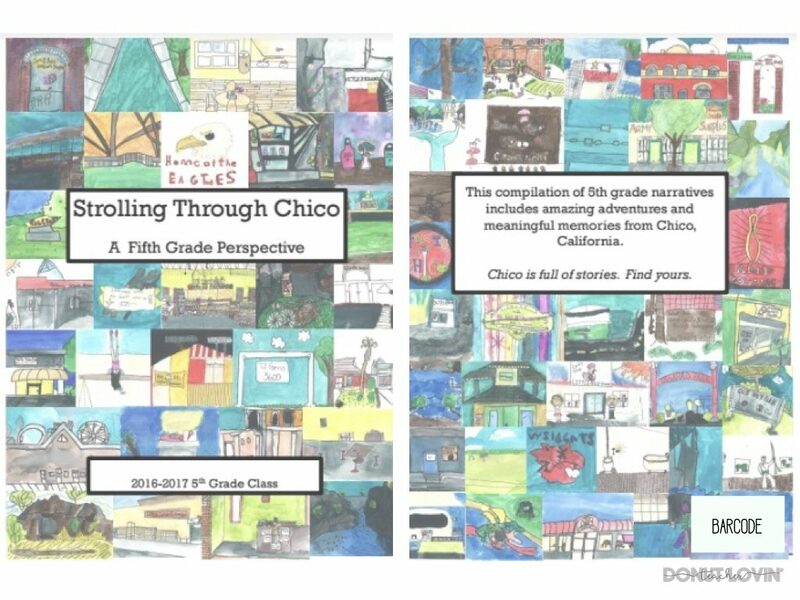 The book included 128 full color pages: a cover page, table of contents and two pages per students (one with a narrative writing piece and the other including information about the location and student artwork). What did you do with the extra money earned? Of course students thought they personally were going to make money from this and were disappointed when they found out they weren’t. Students voted on an organization that they wanted to contribute the proceeds to, but if I were to do this again, I’d also consider letting them decide on something they wanted in the classroom that their earnings could contribute towards. How do you upload the student work? All of the students wrote their work in a Google Doc which allowed ease to copy and paste their writing into one document. I scanned all of their artwork and pasted it onto the next consecutive page in the Google Doc along with their informative writing. Once the Google Doc was fully edited and reviewed, I downloaded it as a PDF and then uploaded it to CreateSpace where I was able to view final changes. Do you receive a sample prior to the full purchase? Yes. We received a proof of the book within days of submitting and then from there ordered copies. How did you know how many copies to purchase? Initially, we didn’t. A parent survey could have been helpful, but honestly on the day of our book signing, people purchased more than I think they even anticipated. We had to ask parents to hold off on their purchases in order to allow other members in the community to buy the book, and we later took orders for parents to purchase another copy. 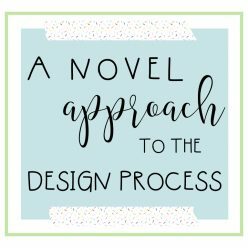 Does CreateSpace offer customer service if you need help? YES! The website is easy to navigate and they actually have amazing customer service support! You can chat online, or even submit a request online and they will call YOU! This eliminates wait time on the phone. All the people I talked to were extremely polite and helpful. The first batch of books we ordered actually came with a strange bend in them and when we asked them about it, they provided return shipping labels and sent us new books immediately! The front and back cover full of student artwork also included inside the book. A sample of a student narrative, artwork, and informational writing. We were so proud of our students for their creativity throughout this project. 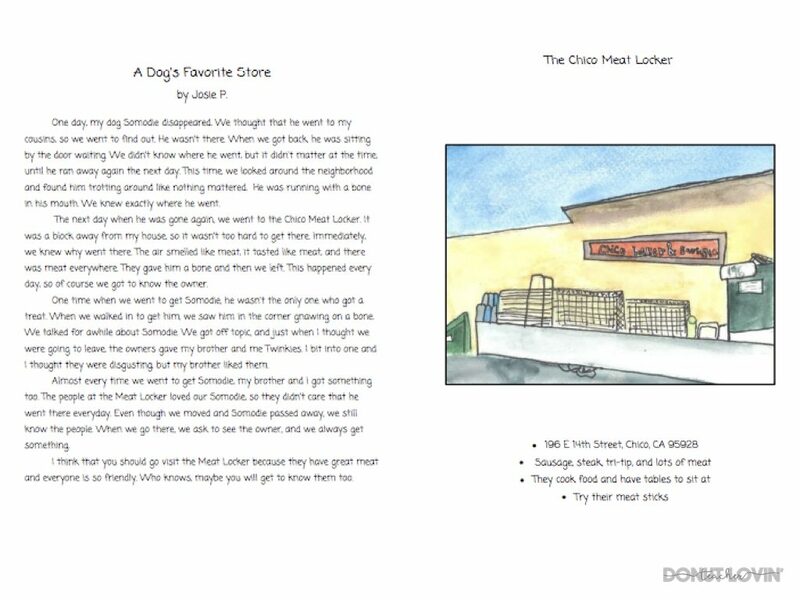 The sample above is about a dog that kept running away to this nearby meat shop! Another fun one is about a student’s sister who lost a tooth at a grocery store. They seriously wrote about some sweet memories that now we know they’ll never forget! If you have other questions about using CreateSpace to make a book with your students or alternate suggestions, feel free to ask in the comments below! *These are my own opinions based on my experience and I have no affiliation with CreateSpace. *Shout out to my teaching partner for her creativity and flexibility in doing this project together and my mom for being our final editor!